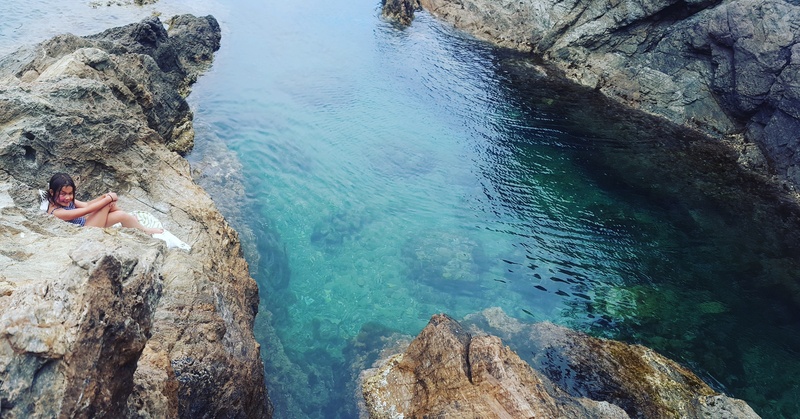 The Costa Brava stretches for 85 miles along Spain’s north eastern coast, all the way to the French border. Yes, its beautful, but there are a few spots that are exceptional for a family beach day. There is an algorithm for the ideal family beach. It must have access to a clean bathroom, and gorgeous beachside restaurant or tasty snack cafe. 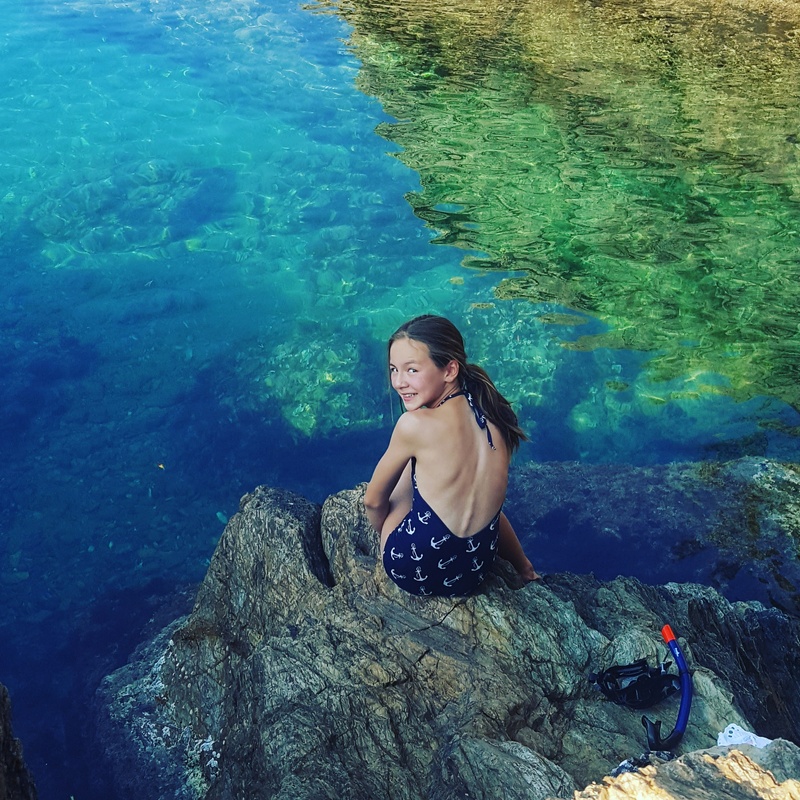 Quiet protected coves are great, with some shady options (just say no to roasting your kids in the baking mid day Mediterranean sun, even if the Spaniards do it). Also, it needs reasonable parking, and enough space so other people aren’t up in your grill. Aiguablava in Begur fits this bill nicely. It’s a stunning, emerald cove surrounded by step cliffs- this keeps the winds low and gives shady options after 3pm. It does get crowded, even on weekdays, and parking costs 3euro/hour, but it is convenient. There are 2 pricy but very good seafood bistros right on the sand (excellent sangria), plus a dive shop that sells beach toys, 2 gelaterias, and a kayak/Pedalo/SUP rental kiosk. The restaurants have clean bathrooms and there are outdoor showers for rinsing off at the end. Basically, everything that a family could need for a perfect, easy beach day. Calella de Palafrugel is even better for families- in a charming seaside village, with lots of food options, and other conveniences, like a pharmacy within a short walk, in case you need more sunscreen. Lifeguards watch the protected little cove, with gentle tidepools ideal even the tiniest babies. Older kids will enjoy snorkeling out to the far rocks, and looking for seastars, fish, and octopi. We enjoyed a beachside lunch at Tragamar, which serves a wide range of local seafood as well as tapas and burgers. They do a good sangria too! 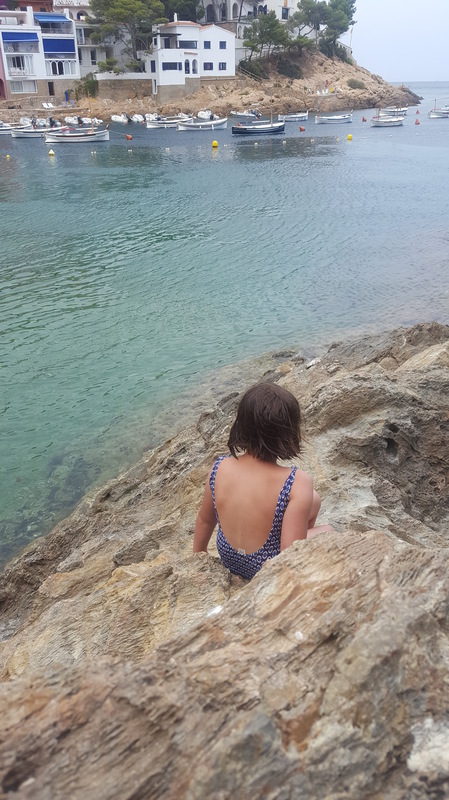 I was able to watch my kids swim in the protected cove right in front of my table, while sipping an after lunch espresso, as one does in Europe. Of course, it’s pricy because of the location, but the food is exceptional for a beachside bistro. Try their rotating variety of salads (pick 1, 2, or 3 options). 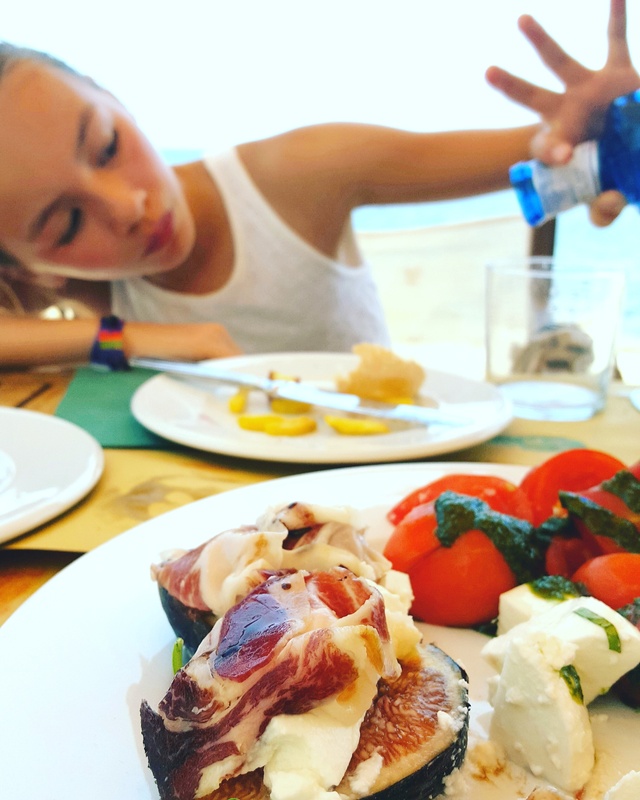 It’s hard to pick a favorite, but Cala La Tuna in Begur is tough to beat. Its your classic, tiny mediterranean fishing cove. Gorgeous old houses flank emerald water, where dinghies bob placidly. It defines Spanish seaside charm. Rocky outcrops jut into the water, forming hidden coves and caves to be explored. There are shady options at any time of day, but bring a palapa or beach mat because this rocky beach has no sand. You wont be building sandcastles here, but the water is so calm and perfectly clear that babies and toddlers can explore safely. Parking in the private lot is 3euros per day, but there is some free public street parking as well when we arrived on a weekday afternoon. Overlooking the cove are several excellent but overpriced seafood restaurants. Worth eating there rather than loading up the car and driving into Begur, however. And, the food here is quite decent.